Fake tattoos, real cool designs! I really love nail art, but often find my designs don’t translate onto my nails quite as neat and perfect as they look in my head! 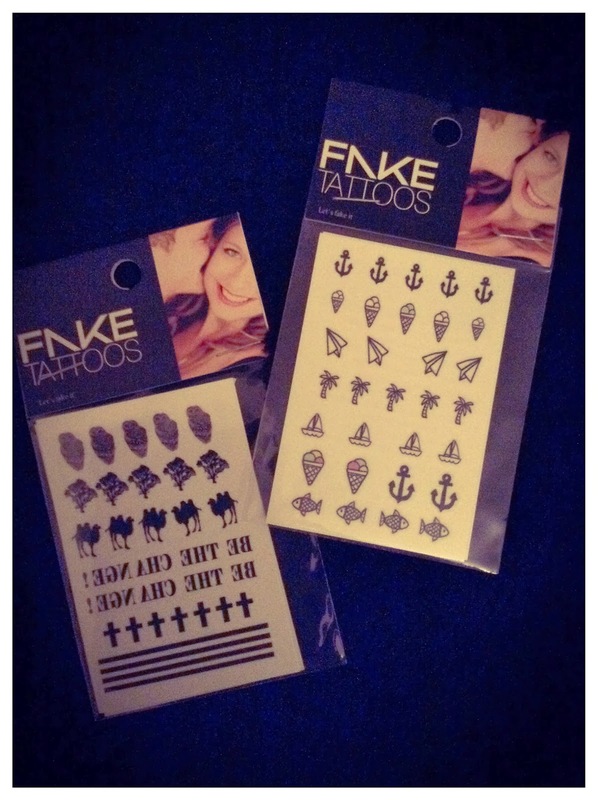 So when the lovely people at www.faketattoos.org.uk offered to send me some temporary nail tattoos* to try I was really excited! Perhaps now I’ll be able to pull off all the amazing patterns I see on Pinterest! I was lucky enough to be sent 2 sheets of designs – the Ocean Design* sheet and the Arty Design* sheet – and look how fabulous they are! 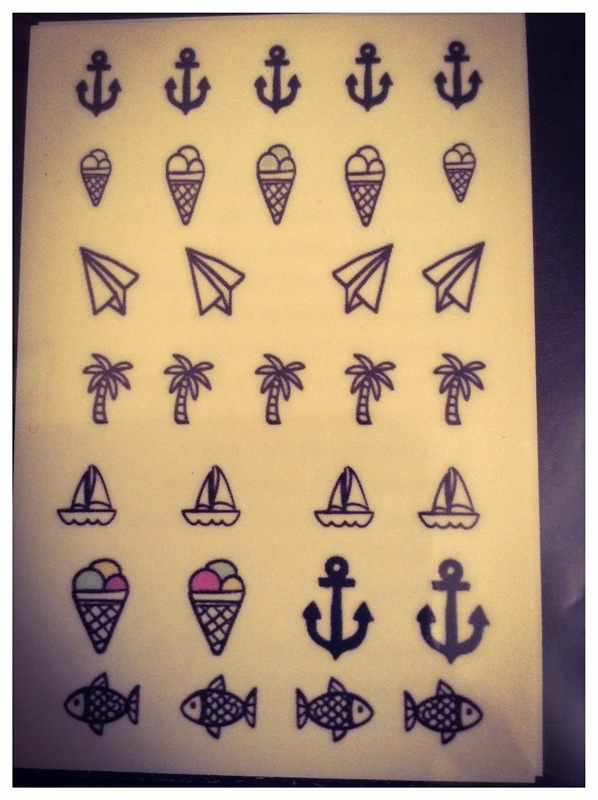 The Ocean Design* sheet features some little anchors, various ice cream cones, some paper aeroplanes, palm trees, sail boats and fish. These will be perfect for creating some Summer fun nail designs! 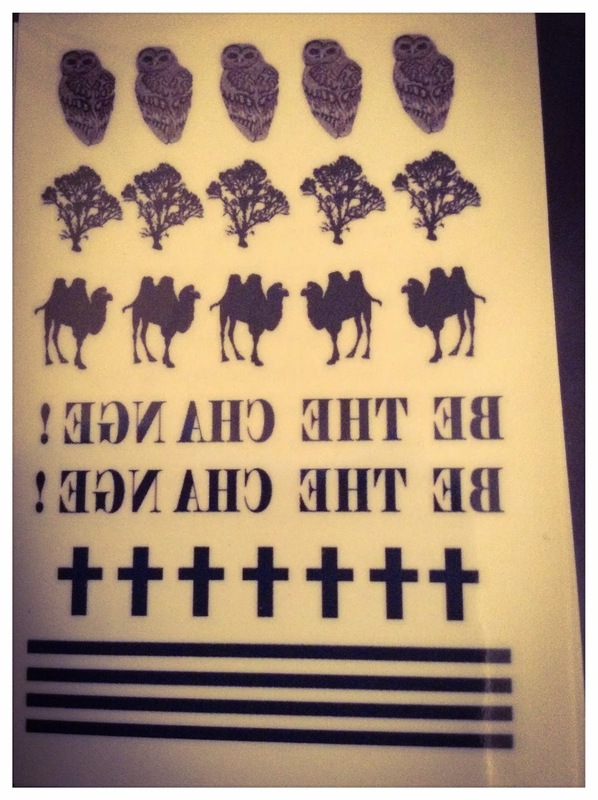 The Arty Design* sheet features intricate little owls, trees, camels, crosses, stripes and the words “BE THE CHANGE!”. I’m obsessed with owls, so can’t wait to play with these, and the trees and crosses are really cute too! The www.faketattoos.org.uk website also features many other designs. The cool thing about these tattoos is that they can also be worn on your skin! I think the little owl design would be GORGEOUS as a body tattoo, as well as on the nail. The tattoos are designed to last between 3-10 days depending on skin type (and not sure how long they’ll last on the nail), but are FDA tested and totally nontoxic. They’d make a fab Christmas present, and www.faketattoos.org.uk ship worldwide too. Keep your eyes peeled for some funky nail art using these bad boys coming soon! Have you ever used nail tattoos? *PR Samples. 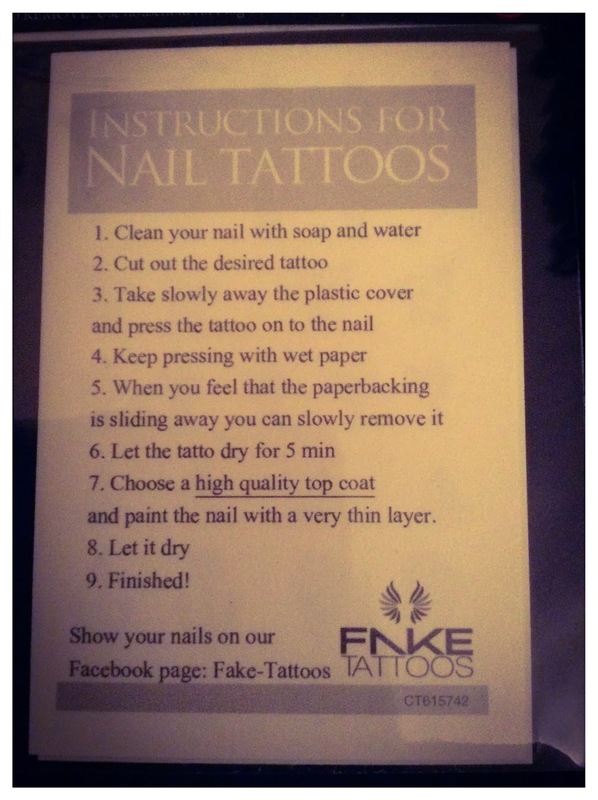 Thank you so much www.faketattoos.org.uk for sending me the Fake Tattoos.